Our GMM2012 lineup is really shaping up with the additions of five new acts. 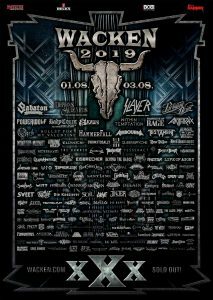 We are proud to confirm KILLSWTICH ENGAGE, HATEBREED, DEVILDRIVER, EXODUS and ALESTORM. Advance sales for next year’s festival start tomorrow. This includes the sale of combi tickets, GMM tokens and VIP upgrades. Day tickets will go on sale as soon as the day schedules are complete. Fans will be able to book festihuts and campervan pitches in Graspop Metal Town as of Friday 9 December. 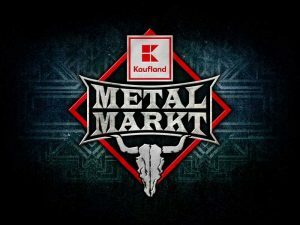 Go to www.graspop.be/metaltown_EN for full details. We’ll be back soon with more new names. Meanwhile, check out our preliminary lineup below. COMBI TICKETS include: access to the festival arena on 22, 23 and 24 June, as well as access to the campsite and free use of our weekend car park. Public transport by train and bus are also included. DAY TICKETS include: access to the festival grounds on 22, or 24 or 24 June, depending on the day ticket purchased. Access to the campsite is NOT included. Day ticket holders must buy a camping ticket (15€) to enter the campsite. Day ticket holders can park their vehicle in the day car park (5€/vehicle). Public transport by train and bus are also included. 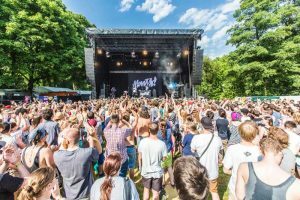 Each ordinary admission ticket is also valid for one outward journey and one return journey by train from any Belgian station (*) to MOL and for the final outward and return lap with buses from DE LIJN from the MOL station to the festival site. (*) Travellers who have Brussel-Nationaal-Luchthaven as departure or destination station have to pay the Diabolo fee. Attention: the e-festival ticket is NOT valid for travelling by train but entitles you to one free nominative e-train ticket for an outward and return journey to MOL (including final stretch with buses De Lijn). The festival goers from abroad can combine their ordinary admission ticket or e-train ticket with a transport ticket (outward and return journey) which is valid on the foreign railway networks until the Belgian frontier. The tokens pay for cold beers, soft drinks, chips, pizza, pasta dishes and much more. Each token has a value of 2,50 euros. 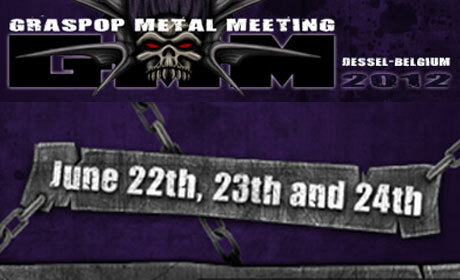 Tip: benefit from buying your Graspop tokens in advance for 2.25 euros/toke. During the festival, tokens cost 2.50 Euros each. In presale, Graspop tokens are only available in packages of 22 tokens and are available until 1 May (or while stocks last) in the form of vouchers. The unique code printed on every voucher is scanned at the box office and you can collect your Graspop tokens when you go to pick up your wristband. All in a single trip, does it get any more practical? VIP package consists of: parking space in the VIP car park (access with valid parking ticket), access to the VIP lounge, avoid long queues at the main entrance and the campsite entrance. Important notice: Festival VIPs must buy both a festival ticket AND a VIP upgrade. Your festival ticket includes free public transport to the festival site as well as access to the main festival arena. A VIP upgrade is your ticket to the VIP lounge. In other words, a VIP upgrade can only be used in combination with a valid festival ticket. Combi ticket holders have the same choice: they can also order a VIP package for 1 or 2 days so they’re not forced to buy a weekend VIP package just because they’ve bought a combi ticket. Camping tickets (15 euros) allow day ticket holders to spend the night on the camping site. A camping ticket is valid on the same day as your festival ticket, from 8 am till 12 noon the following day. Camping tickets will not be available in presale and will only be sold at the box office of the camping site itself.